Those admitted into the Equity Fund Track start by taking FIN450 Securities Analysis (3 credits) and upon successful completion of the course, move on to FIN454 Equity Fund Portfolio Management (6 credits) in the following semester. Continuing with FIN454 is not required. Students in both courses work together to manage a $1,400,000+ long equity portfolio. 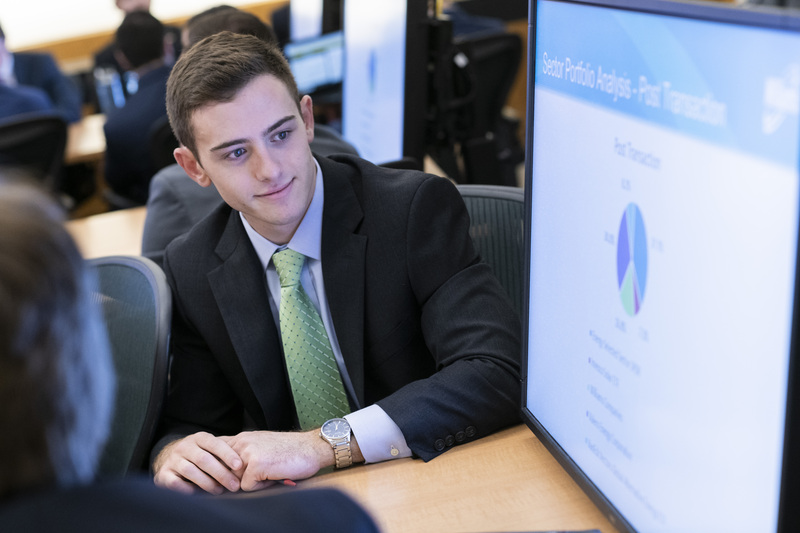 Students begin as Securities Analysts, where they gain a foundational knowledge for investment management and financial analysis. 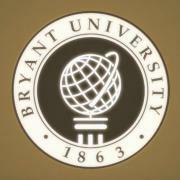 This includes practical workshops to learn to navigate financial software and data providers such as Factset Research Systems, Bloomberg, Sustainalytics and other resources available in the C.V. Starr Financial Markets Center (FMC) in the George E. Bello Center for Information and Technology. Later in the semester, Securities Analysts partake in an investment pitch in their assigned sector and a sector long/short recommendation in front of all Archway Fund members. This requires an in depth analysis and a strong overall knowledge of the economy, financial markets, sectors and gives students the opportunity to employ the skills they developed throughout the semester. After successfully completing the first semester, Securities Analysts move on to become Portfolio Managers, taking full control of the portfolio while complying with an approved Investment Policy. The Portfolio Managers make decisions on sector balancing while presenting buy and sell stock pitches in order to improve the future growth of the Fund. The Portfolio Managers also take on the responsibility of mentoring the first semester Securities Analysts. At the semester’s end, the Portfolio Managers present their work to a panel of professionals from the investment industry. Two courses also comprise the Fixed Income Track: FIN458 Debt Securities, Derivatives and Investing (3 credits) and FIN480 Fixed Income Fund Portfolio Management (3 credits), for a total of 6 credits. Students in FIN480 manage a $500,000 fixed income fund. This course covers the concepts that govern the pricing, trading, and risk management of fixed income securities and portfolios. Foundational topics include pricing of bonds, interest rate risk measurement and management, the yield curve, credit risk, and the valuation of various debt options. These concepts are applied to hedging, trading, and portfolio management. Students are introduced to the full scope of fixed income security types including government and corporate bonds, mortgage-backed and asset-backed securities, and equity linked debt. The central activity in this experiential course is the management of the Archway Fixed Income Fund according to the guidelines outlined in the Investment Policy Statement. The course is organized into modules designed to introduce the key concepts and techniques used for fixed income portfolio management, and to apply them to the funds under management. The course is designed to interweave theory and practice. Within each module there will be portfolio activities, some of which may be assigned to a subset of the students in the class, depending on their role in the portfolio management team. Successful completion of FIN458 and permission of the instructor is required. The student application for the Equity Fund Track is usually due the 4th or 5th week of a semester for the following semester. Professor Ascioglu sends a reminder email to all students majoring or minoring in Finance two weeks before the application deadline. There is no separate application form. Students can obtain BMC certification by working on BMC modules on any Bloomberg Terminal in the FMC. All finance courses (with the grades/expected grades) should be listed in resumés. FIN201 Financial Management and FIN312 Investments are prerequisites. Students should have already completed FIN312 or be taking it during the semester in which they are applying. Students cannot take FIN312 while taking FIN450. There is no formal application process for the Income Fund Track. If you have completed the prerequisite courses—FIN201 Financial Management and FIN312 Investments — you may take the first course FIN458 Debt Securities, Derivatives, and Investing. Students should have already completed the second prerequisite FIN312 or be taking it during the semester in which they are enrolling in FIN458. To enter the second course in the sequence, FIN480 Fixed Income Fund Portfolio Management, students must successfully complete FIN458 and receive the permission of the instructor, Kevin Maloney, Ph.D.